'Row, row, row ... your boats' by Julianne Bockius - DPC Prints! 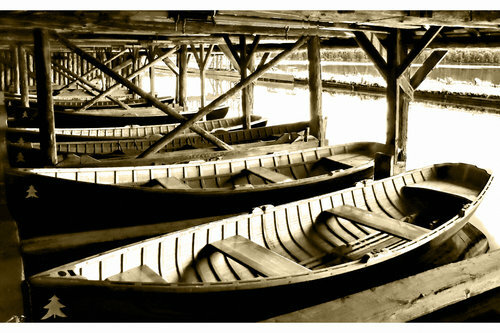 A nostalgic image in sepia of rowboats in a log construction boathouse. This photograph originally appeared in the Order Challenge.